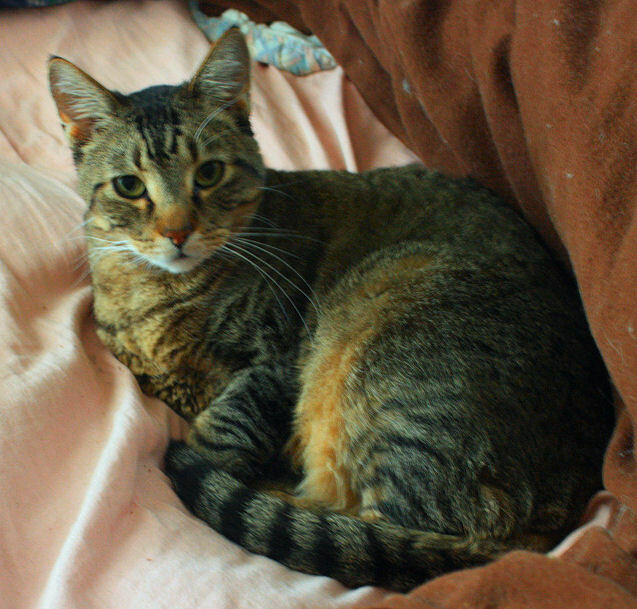 Tommy was rescued from a hoarder who lived on a busy highway and let the cats run loose outdoors. We think he’s suffering from the feline version of PTSD. Sometimes he’s a very good boy, but at the drop of a hat he occasionally turns into a psycho-cat. (He doesn’t bite people other than playfully.) He’s very good with kittens.